Things are getting very loose with the Amanda Price confirmation process. Price was named Commissioner of the Department of Public Safety (DPS) in December by Governor Michael J. Dunleavy (R – Alaska). She would be the first Commissioner of DPS with no law enforcement experience. On Thursday, during public testimony at a confirmation hearing in the House State Affairs Committee, several members of former Governor Bill Walker’s administration called in to testify about Price. Callers included Jim Whitaker, Walker’s first Chief of Staff, Scott Kendall, Walker’s second Chief of Staff, and Marcia Davis, Walker’s former Deputy Chief of Staff under Whitaker. Whitaker was up first. He praised Price’s character, work ethic, and judgement. He said he supports her. Kendall was next. He gave pointed and direct testimony about Price. He cited chronic absenteeism, issues with plagiarism, and her overall work ethic. When asked by Representative Zack Fields (D – Anchorage) if he would vote to confirm Price, Kendall responded, “I absolutely would not vote to confirm Ms. Price.” Next up was Marcia Davis. She spoke highly of Price and strenuously challenged Kendall’s statements. Davis cited tension between Governor Walker’s Anchorage and Juneau offices. She described Price as a “revolutionary” and said she was just so busy she could not use a calendar. She then got audibly agitated. She said Price was not being paid to write “Gone with the Wind” or War and Peace,” but was just compiling information. She also said that Price did not make any friends with law enforcement and was unpopular because of how she was changing things. She later walked her statements back and said people get irritated when they have to change the way they work. Davis also spoke of a “pettiness machine” where people had their “knives ready to go after people” in the Walker administration. In response to a question from Representative Laddie Shaw (R – Anchorage), Davis acknowledged that she and Whitaker left the Walker administration at the same time. Kendall replaced Whitaker and let Davis go shortly before he let Price go. Do Whitaker and Davis have a vendetta against Kendall? You can listen to the testimony and follow up questions here. The best part is what happened after the hearing. Dunleavy administration propagandist Suzanne Downing published an article titled “Walker’s chief of staff brings his wrecking ball to committee hearing.” Not surprisingly, she painted Price as the victim of a Democrat led attack. Downing did not mention the pointed questions from Representative Laddie Shaw about Price’s educational background and financial problems. She also failed to mention direct questions from Representative Sarah Vance (R – Homer) at the previous hearing. Downing cites Davis’ testimony as a vindication for Price. This is interesting considering what Downing has said about Davis over the last several years. Davis said Price was always on the go, and if she wasn’t where her calendar said she’d be, it’s because she was putting out fires for the governor somewhere in the public safety sector. Davis also described the culture of the Walker offices as toxic, with a lot of petty backbiting. These were issues she was trying to address, and after describing the “cheap shots” atmosphere, she testified about her endeavors to get the staff working more productively. But that cheap-shot culture must have continued after she left, she said, if Kendall’s testimony was to be believed. Rep. Kreiss-Tomkins cut Davis off twice during her testimony. She was not giving the Democrat-led committee the testimony they wanted. Check out some of the things Downing has had to say about Davis over the last few years. Let’s look at some of the facts surrounding Price’s confirmation process. In a previous hearing before the Senate Finance Committee, Price said she left the Walker administration because of Walker’s lack of vision. After being pressed, she later told the House State Affairs Committee that she in fact was asked to resign. Her resume claims that she attended UAA from 1993-1997. She doesn’t say she has a degree but lists Biological Science. It’s at best misleading. A degree verification showed she does not have a degree and stopped attending in 1996, not 1997. Price has acknowledged her past credit problems. She and her husband had a foreclosure in February of 2018. She said it was due to her husband losing his job. It is imperative that law enforcement personnel do not have credit or money problems because it can make them susceptible to bribery or blackmail. And then there is some of the people that have testified in support of her. At the hearing on Thursday, Seward Fire Chief Eddie Athey called in to testify in support of Price: “So, through the chairs I’m just calling today to lend my support to the appointment of Commissioner Price to the DPS Commissioner position.” That was it. After his testimony, Representative Adam Wool (D – Fairbanks) asked him how he knew Price and whether they had worked together. Athey responded that he met her for the first time in Juneau a few weeks ago at a Fire Chiefs conference and was just really impressed with her. Price also had Gerad Godfrey call in to testify in support of her at a previous confirmation hearing. 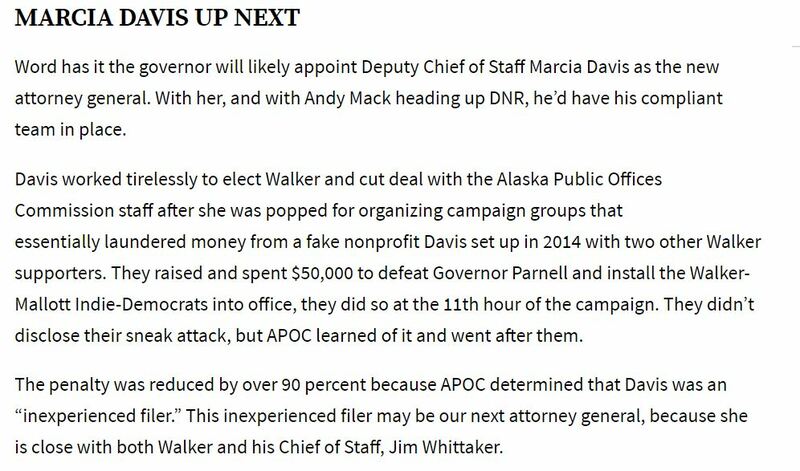 They both worked together for Governor Bill Walker. They were spotted at dinner at SALT a few months back. I guess they are buddies. Price also had the wife of an Alaska State Trooper call in to support her at her last confirmation hearing before the House State Affairs Committee. It was really bizarre. Price has spoken disrespectfully to the Speaker of the House on the record, in committee. She has talked back to committee chairs during her confirmation hearings. She has struggled to stay calm and collected under pressure. Many of those serving in law enforcement have developed the ability to stay calm and collected under pressure, either as a result of their training or years of experience. But she hasn’t spent a day as a law enforcement officer. She hasn’t had the training or experience to relate to the very people she is supposed to lead. Many lawmakers are asking themselves – if this is her temperament when she is trying to become the Commissioner of the Department of Public Safety, arguably one of the most powerful appointed positions in state government, what will she behave like if she actually gets confirmed? The Commissioner of the Department of Public Safety is one of the most important roles in our State. With all of the issues surrounding Price, and all the legislators who have questions about her, it will be very interesting to see if she has the votes needed to get confirmed. 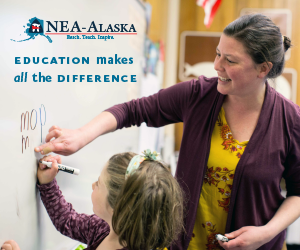 A joint session of the House and Senate to vote on Governor Dunleavy’s nominees is scheduled for Wednesday. This will be one to watch.